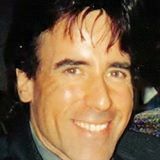 Larry Richman began his career in the entertainment industry, logging over 20 years in commercial broadcast radio, band management, and record production. The Long Beach, New York native attended the University of Pennsylvania in Philadelphia, receiving a Bachelor of Arts Degree in Geology, becoming a radio announcer at WMMR Philadelphia at the end of his junior year. During his 18-year tenure as a DJ there, WMMR became the #1 radio station in the nation's fourth largest market and leading rock station in the country. He received gold and platinum albums for his work with Philadelphia bands. After a brief stint as a Payroll and Personnel Supervisor for the U.S. Department of Commerce, Larry transitioned into the world of online journalism. As a writer for PROnetworks, a technology support site, he worked his way up to Senior Vice President for Media & Technology and Public Relations. During this period he was recruited by Microsoft and spent several years assisting in Windows development. Expanding on his passion for independent films, Larry added photography and videography to his resume and became a film festival journalist. For his own site larry411.com as well as IndieFilmSpotlight, he covered nearly 100 festivals (including more than 2000 film screenings). Copyright Larry Richman. All rights reserved.